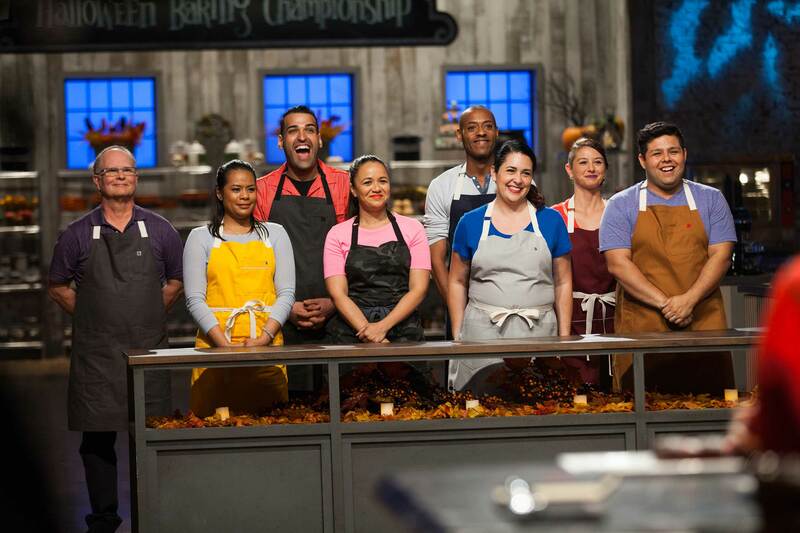 New York – August 22, 2017 – A new batch of eight terrifyingly-talented bakers from across the country compete to create haunting and spooky sweets on the new season of Halloween Baking Championship, premiering Monday, September 25th at 9:00pm ET/PT. 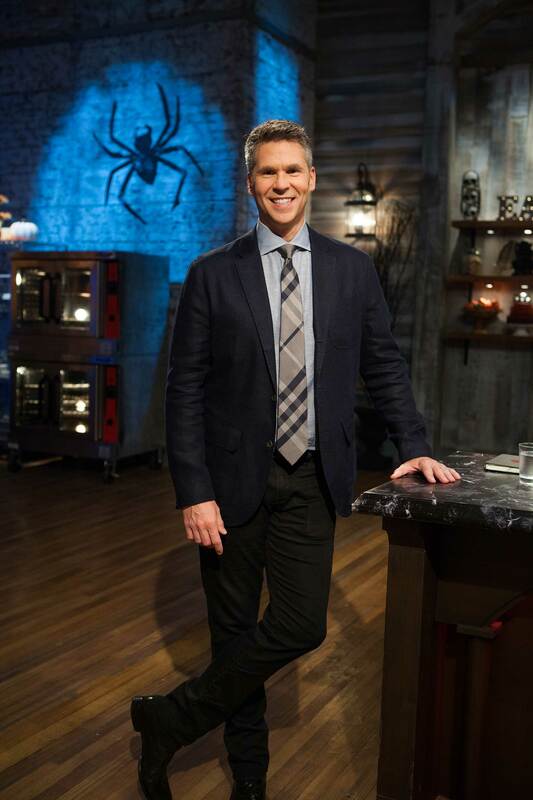 Comedian John Henson hosts, as the contestants’ baking abilities and imaginations are put to the test in two rounds of difficult confectionary challenges, from trick-or-treat candy-filled cookies to scream puffs (a scary take on the traditional cream puff), and from glow-in-the-dark desserts to Jack-O-Lantern Cakes. 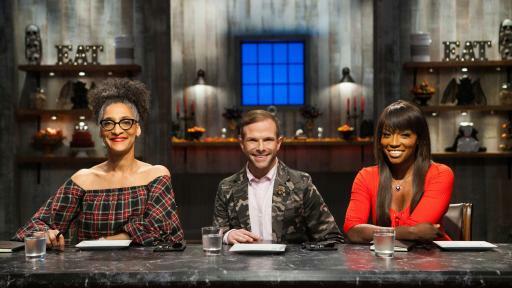 The one who survives the twists of the competition and whose sweets put a spell on judges Carla Hall, Lorraine Pascale, and Zac Young, will take home the grand prize of $25,000 and the title of Halloween Baking Champion! 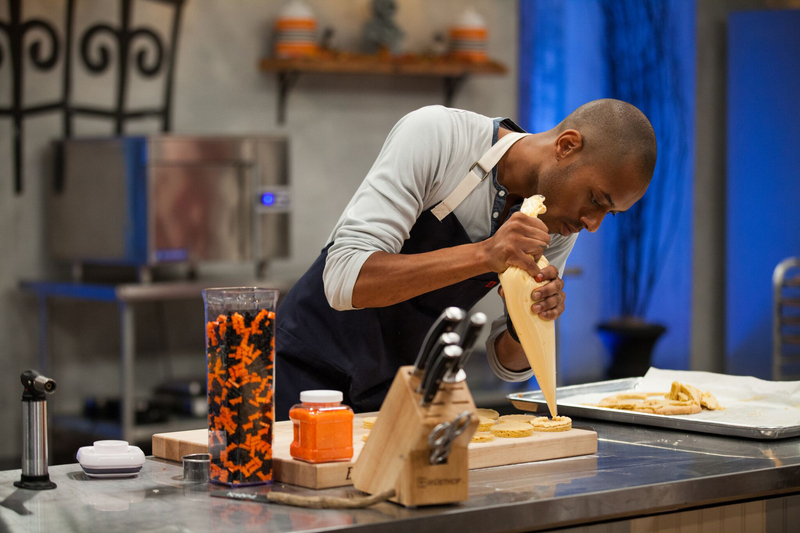 Halloween Baking Championship contestants include: Jasmin Bell (Seattle, WA), Cliff Butler (Austin, TX), Tyler Davis (St. Louis, MO), Jonathan Elias (Birmingham, MI), Andrea Kratville (Sonora, CA), Dina Melendez-Bonnet (Brooklyn, NY), Jessica Scott (San Diego, CA), Ray Vizcaino (San Diego, CA). 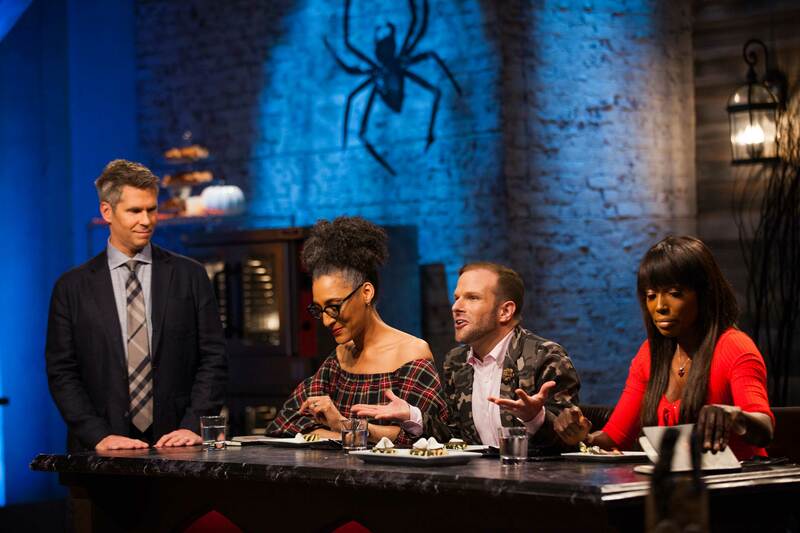 In each of the six hour-long episodes, the contestants will need to cause quite a fright with freaky, yet tasty, Halloween desserts. 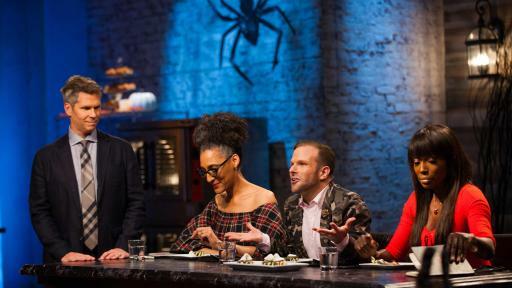 On the first episode, the bakers must show off their decorating skills in the pre-heat challenge as they make a dozen Halloween-themed cookies from scratch, such as ghosts, skulls, coffins, spider webs and more. But, the twist is that the bakers must stuff them with traditional trick-or-treat candies. 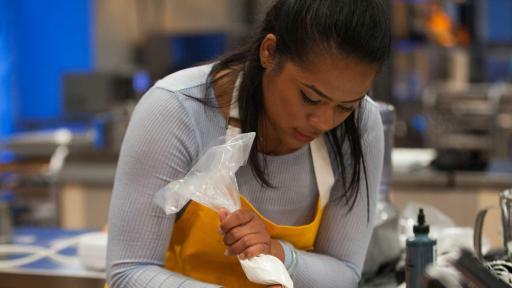 One contestant will win a special advantage in the main heat challenge, where they need to make a sublime dessert with ooey-gooey fruit-flavored slime that oozes out when cut. A surprising twist in the challenge will be hard to swallow for one contestant who will be sent to the graveyard of the competition, never to return. The frightful fun continues all season long with creepy challenges and bewitching baked goods that will leave audiences howling for more! 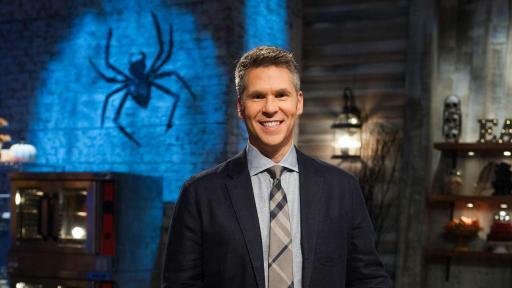 Fans can find photo galleries of the spookiest sweets from the competition, view the judges’ most elaborate costumes and catch video highlights of the challenges at FoodNetwork.com/HalloweenBakingChampionship. 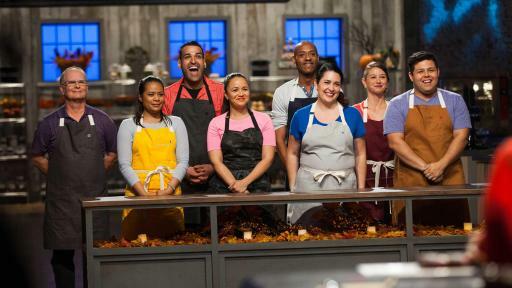 Plus, they can join the baking banter on Twitter using #HalloweenBakingChampionship. 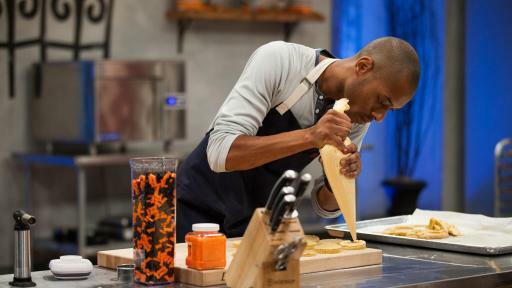 FOOD NETWORK (www.foodnetwork.com) is a unique lifestyle network, website and magazine that connects viewers to the power and joy of food. The network strives to be viewers' best friend in food and is committed to leading by teaching, inspiring, empowering and entertaining through its talent and expertise. Food Network is distributed to nearly 100 million U.S. households and draws over 46 million unique web users monthly. Since launching in 2009, Food Network Magazine's rate base has grown 13 times and is the #2 best-selling monthly magazine on the newsstand, with 13.9 million readers. 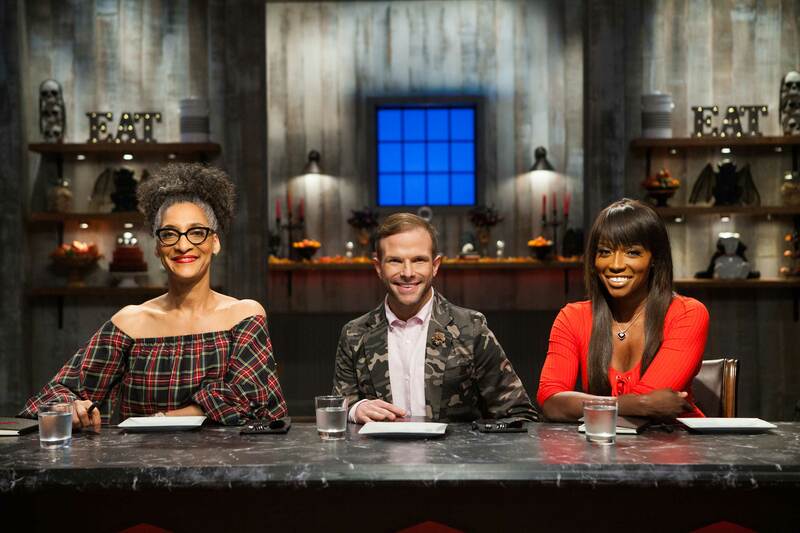 Headquartered in New York, Food Network has a growing international presence with programming in more than 150 countries, including 24-hour networks in the United Kingdom, Asia, and the Europe, Middle East and Africa (EMEA) region. Scripps Networks Interactive (NASDAQ: SNI), which also owns and operates Cooking Channel (www.cookingchanneltv.com), HGTV (www.hgtv.com), DIY Network (www.diynetwork.com), Travel Channel (www.travelchannel.com) and Great American Country (www.gactv.com), is the manager and general partner.